Novak Djokovic has warned Andy Murray he must conquer his mental demons before rediscovering his best form as the former Wimbledon champion returns from almost a year on the sidelines. Finally recovered after hip surgery in January, Murray will play his first competitive match for 11 months when the Scot takes on Nick Kyrgios in the Queen's Club first round next week. Murray's fitness problems, which flared up at last year's Wimbledon and featured several aborted comeback attempts, have stuck a chord with his old friend Djokovic. The Serb was hampered by an elbow injury for much of last year and has struggled since returning after surgery. Djokovic admits he has found it hard to feel confident on the court as he battles fears about the injury returning. And, speaking at Queen's on Sunday, the 31-year-old told former world number one Murray not to expect an instant return to former glories. "I've faced this major injury issue myself. You feel the consequences mentally more than physically," Djokovic said. "I never knew it would take so long to feel comfortable with my game. "He has been absent for longer than me. With hips I don't know how tough it is to move around but I think the biggest challenge will be mental. "To get it out of your head and understand you are fine, to focus on your game rather than thinking 50 percent of the time about whether the injury hurts. "If you don't have mental clarity on the court it is very difficult to play." Murray has three Grand Slam titles to his name, including two at Wimbledon, but he has already acknowledged it will be tough to recapture that form after so long on the treatment table. It is a feeling Djokovic can empathise with after the 12-time major winner's troubled 2018. 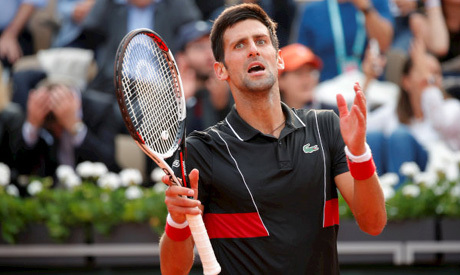 Djokovic is a lowly 21st in the ATP rankings and his wretched run continued with an embarrassing French Open quarter-final defeat against Italian journeyman Marco Cecchinato. He hasn't earned a major title since competing his career Grand Slam by winning the 2016 French Open. Djokovic has failed to reach the semi-finals in any of his last five Grand Slams, prompting him to play Queen's for the first time since 2010 in a bid to get grass practice before Wimbledon next month. Dealing with the reduced status of a fallen champion is another problem Murray must learn to handle according to Djokovic, who has known the Scot since the pair were aspiring 12-year-olds dreaming of Grand Slam glory. "It's a challenge you have to face as someone who has been number one and fighting for the title in every Grand Slam," Djokovic said. "Those circumstances are quite new. We had tremendous success over a few years. "It's frustrating not to be able to execute things I was doing so well in the past. "Hopefully those are things that will change. I am working on it daily to have that perfect scenario."